New unit to concentrate on voluntourism. (TRAVPR.COM) VIETNAM - June 2nd, 2014 - AdventureVietnam.com is Vietnam’s premier adventure travel company and offers travelers a one-of-a-kind adventure in Vietnam and the Mekong region. Hanoi, Vietnam-- Luxury Travel eyes active vacations and communities by launching its adventure travel department. The brand www.AdventureVietnam.com has an attractive slogan "creating better places to live and visit" and the company has appointed a voluntourism veteran, Xuan Truong, as head of the new department from 1 June 2014. "We are constantly coming up with innovative ideas and looking out for opportunities. We create a new brand for them and let them behave like small independent businesses as part of our 'string of pearls' strategy," said Pham Ha, Founder and CEO of Luxury Travel Ltd. Though popularly known for its war history, Vietnam has theperfect setting for outdoor adventure now being discovered by travelers: stunning hills, mountains, valleys, rice paddies and deserted beaches! Travelers can trek in the mountains of Sapa, go cycling on the Ho Chi Minh trail or indulge in rock climbing and kayaking near the colonial hill station of Dalat. Verdant patchworks of rice paddies, iconic conical hats, a country ravaged by war, and economic repression – these are the international images of Vietnam seen on worldwide television and read about in the newspapers. But there are other scenes to be found: ones of natural beauty, ethnic culture, and imperial history, of timeless traditional villages, idyllic sea resorts and dynamic cities. Even the forests have unique wildlife, which can be experienced at the Cuc Phuong or Nam Cat Tien national parks. Around 70% of Vietnamese live in the countryside and remote mountainous areas and travelers can support communities in need by participating in charity or voluntourism projects, while discovering the country in a responsible way. A Condé Nast Traveler report states that in the past year there has been a spike in educational experiences and adventure as a motivation for travel. Condé Nast Traveler points out that adventure travel is no longer solely about risky extreme sports, but about culture, learning and experiencing life. According to the report, adventure travel is defined as going to exotic, far away destinations (84%), exposure to new and different cultures 84%, outdoor/sports activities (54%), safari (49%), not having a planned itinerary (45%),ecotourism/voluntourism (25%) and extreme sports (20%). Luxury Travel Ltd (www.luxurytravels.asia) intends to expand its product range by creating its own specialist brand for the niche adventure market focusing on voluntourism in order to create better places for people to live in and to visit. 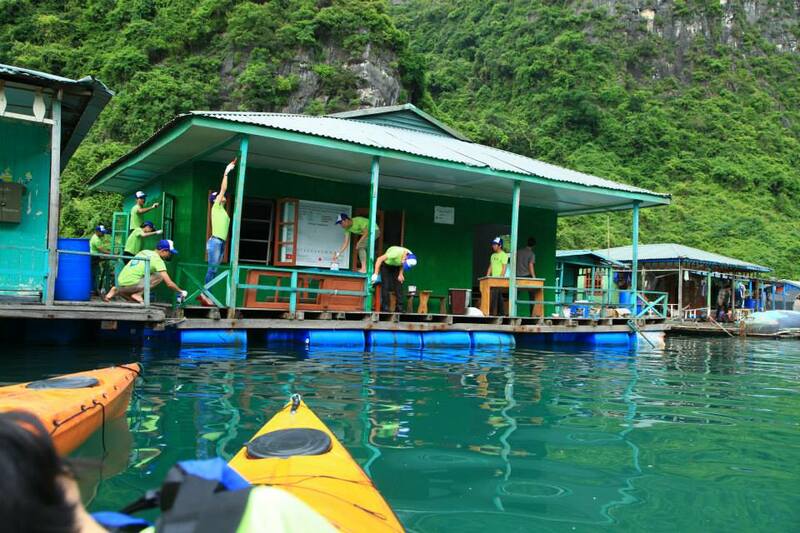 Adventure Vietnam will pioneer tourism projects for communities in the north, centre and south of the country to give something back to communities in these regions through sustainable development and poverty reduction. “I am excited about our new tourism projects for communities, and proud of being the first company in Vietnam to pioneer ecotourism/voluntourism, and 5% of our net profits will be contributed to LuxCare for our mission to create better places for people to live in and visit. I believe that the special adventure tours of AdventureVietnam.com engage the mind, body and spirit of travelers. The beauty of the tour is the first-hand knowledge and truly specialist services provided by local travel experts. ” said Xuan Truong, Adventure Travel Specialist and Head of Department. Luxury Travel is headquartered in Hanoi and has offices in Indochina and sales offices in the main markets in the USA, Australia, the UK, Germany and Argentina.